​Expect an evening full of games, excellent food and drinks, live entertainment and some incredible auction items. We're building our event around hospitality! We will play host to you and the auction items will help you play extravagant host to your friends and family! 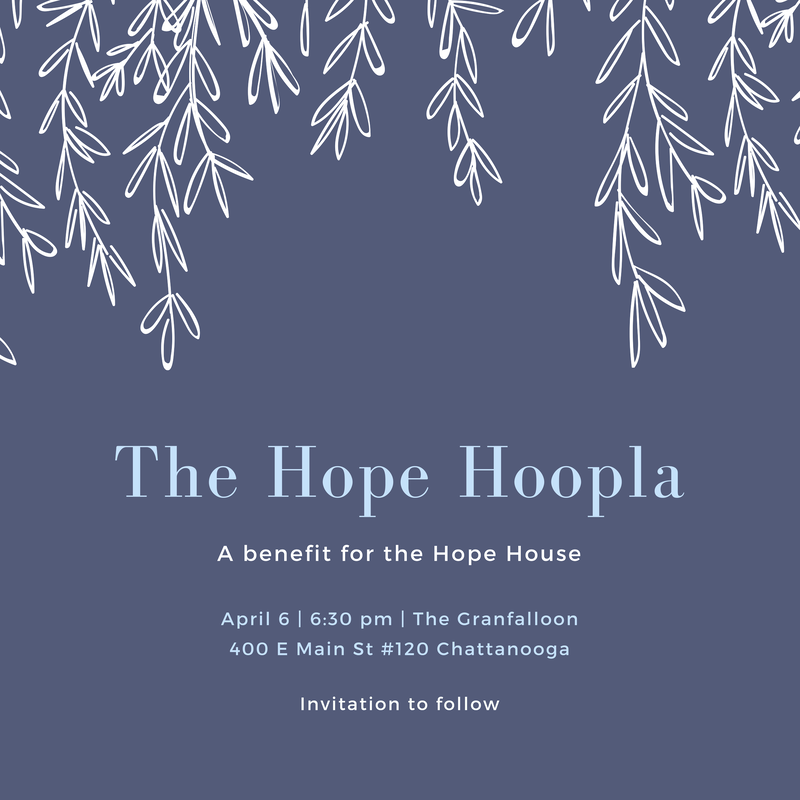 Tickets to The Hope Hoopla are on sale now for $60 each or $350 for a table of six. We only have room for 100 of our closest friends so don't wait, save the date! Reserve your tickets below or by calling 423-265-2227 or mailing checks to 808 Vine St. Chattanooga, TN 37403. ​Can't make it on April 6th but still want to help? Just mail your check to the address above or make a donation at the link. We thank you ahead of time for your generous support!